Drevo Miniatures from St.Petersburg-Russia, owned by the sculptor of his own company Igor Kordyukov, has a nice series of 1/35 scale resin figures representing Russian female warriors of World War II carrying different flowers. 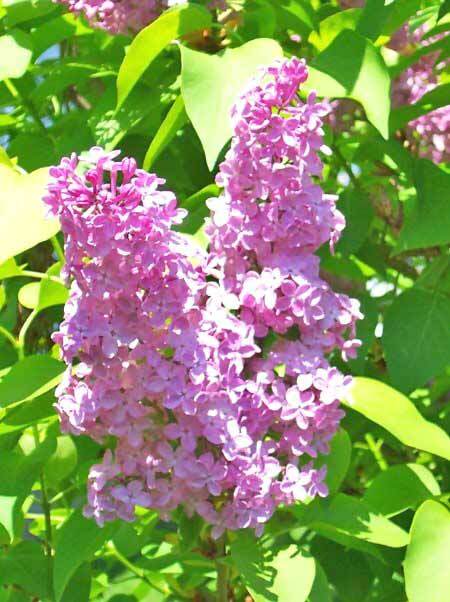 DRM-35003 Flowers of War : Lilac represents a Soviet Partisan Girl carrying a bunch of Lilac. Resistance during World War II occurred in every occupied country by a variety of means, ranging from non-cooperation, disinformation and propaganda to hiding crashed pilots and even to outright warfare and the recapturing of towns. Resistance movements are sometimes also referred to as the underground. Among the most notable resistance movements were the Yugoslav Partisans (the largest resistance movement in World War II), Polish Home Army, French Forces of the Interior, Italian CLN, Norwegian Resistance, Greek Resistance, Dutch Resistance and of course Soviet Guerillas. The Soviet partisans were members of a resistance movement which fought a guerrilla war against the Axis occupation of the Soviet Union during the Second World War. The movement was coordinated and controlled by the Soviet government and modeled on that of the Red Army. The primary objective of the guerrilla warfare waged by the Soviet partisan units was the disruption of the Eastern Front's German rear, especially road and railroad communications. As in many of resistance units, women were the keystones of the Soviet resistance. The figure comes well packed in standard Drevo Miniatures dark brown and sand colored 70x100x35 mm cardboard box . The front part of the box shows a photo of figure painted by Igor Kordyukov which can serve as a simple painting guide. On the other side of the box; website of the company is noted. The parts are represented with the casting blocks. The main part-body and other parts of figure like arms and accessories are seperately inserted in small plastic zip-lock bags to avoid unexpected damages during transfer. The figure is sculpted by Igor Kordyukov and comes in 5 medium grey resin parts. The resin quality is very good and details are very crisp. No air bubbles, excess resin or any casting mistakes on the figure. The junctions between figure parts and casting blocks are well placed and the parts can be easily removed from the blocks with no damage. There will be almost no need for a serious cleanwork. The main part is Body with head,legs and right arm. The female facial details are very nice represented and she really looks like a cute Russian lady.She wears Soviet Army ear-flapped fleece cap Shapka-ushanka. Fur textile of the cap, the star emblem on front and hair are well defined. She wears a short jacket / tailleur with 3 big front buttons and a foulard is inserted into the collar of her jacket covering her neck. Right arm is posed to grab the strap of her rifle. She wears a knee-length skirt and high leather boots. 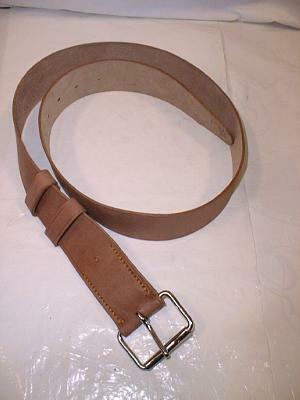 She has a Russian army leather belt with metal buckle and a three cell MP40 Ammo pouch is attached on the left side. Left arm : Posed to carry a bunch of flowers. It makes nice fit to the shoulder. 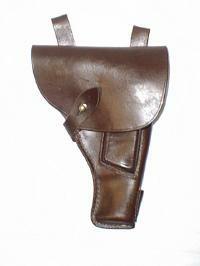 Holster : A leather Tokarev Holster is supplied as a seperate part to attach on the right side. Rifle : >She carries a captured German MP40 Schmeisser submachine gun on her right shoulder. The place to glue the machine gun is marked on the back of the figure. Flower : She carries a bunch of Lilac. Very nice sculpted and high quality cast figure for the painters who like to paint female warriors of World War II. In my opinion; it is so nice to represent a female warrior carrying a deadly weapon in one hand and a bunch of Lilac which means love and youthful innocence in other hand. Highs: Nice subject, nice sculpt, high quality cast and ease on assembly with less parts. Lows: Not much lows for this product, maybe a figure base could be good. Verdict: Very nice figure for painters who like to paint female warriors of WW II. Our Thanks to Drevo Miniatures! Now, if you had said "Gorilla Girl," I'd have expected a model of my sister in law! She looks OK , but she could probably loose the flowers. Makes her look a little wimpy and those women fighters were anything but. I would imagine that she would have long pants on unless she is supposed to be a security type in a large city farther from the fighting. If she were a guerilla she would be more appropriately dressed for laying in ditches and rough terrain. I also noticed that she is wearing a coat and wool hat, suggesting that it is winter. What is with the skirt in a Russian winter? Imagine a cold wind blowing. Brrrrrrrrrrr .Still nice to see female and civilian figures that are becoming more available. Thanks for the review, Brother. Each to their own, I happen to like the flowers - and the range, currently including 3 figures, is called Flowers of War. Regarding your comments about her attire, most (propaganda) photos of female Soviet partisans show them wearing the garb as portrayed by this figure - Engin has included such a photo in his review.